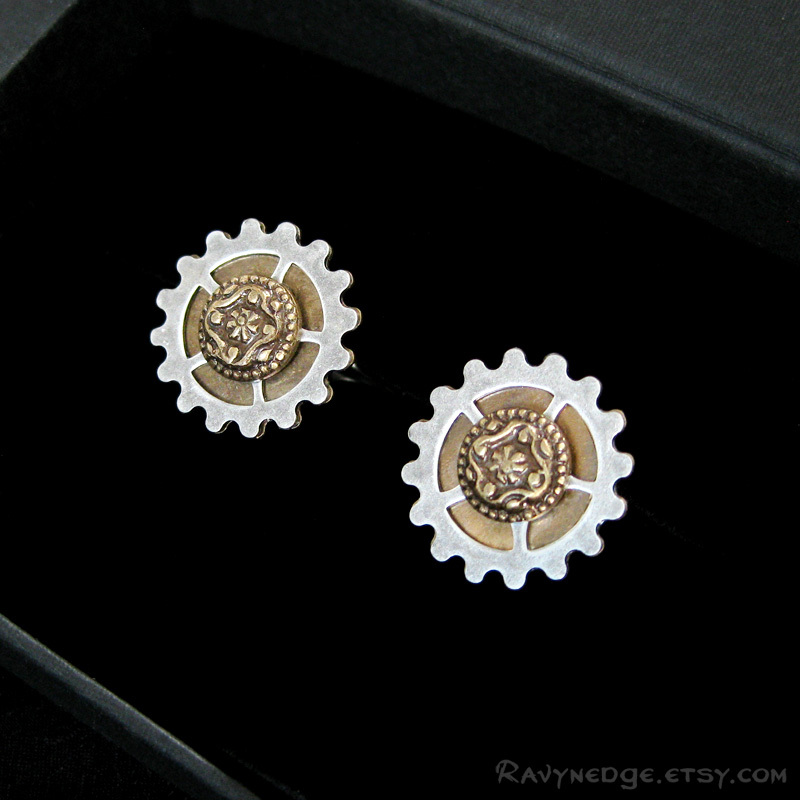 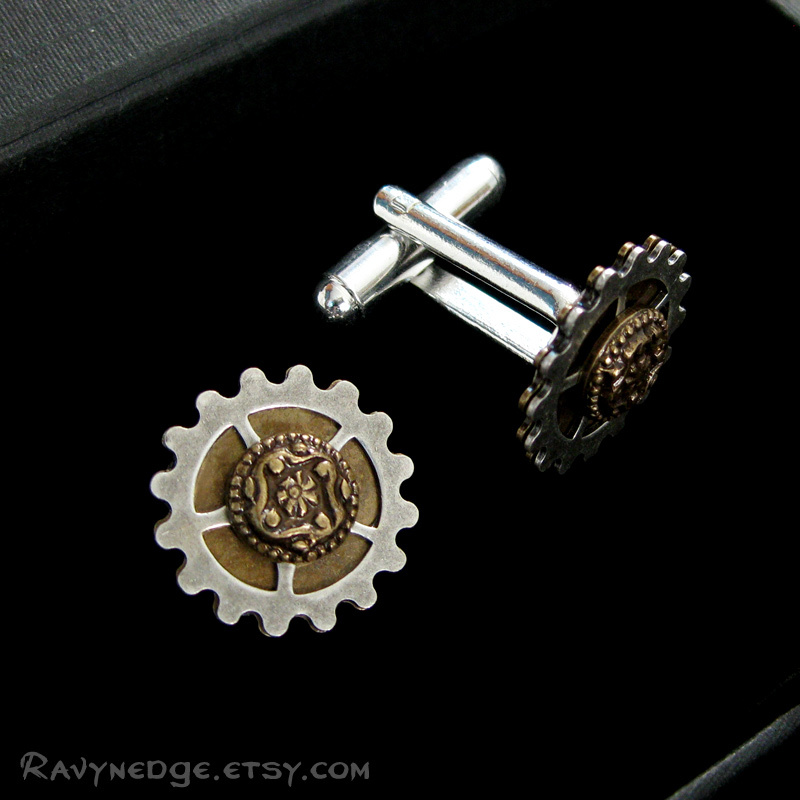 Sprocketeer Cuff Links - Mixed Metal Steampunk Cuff Links by RavynEdge. 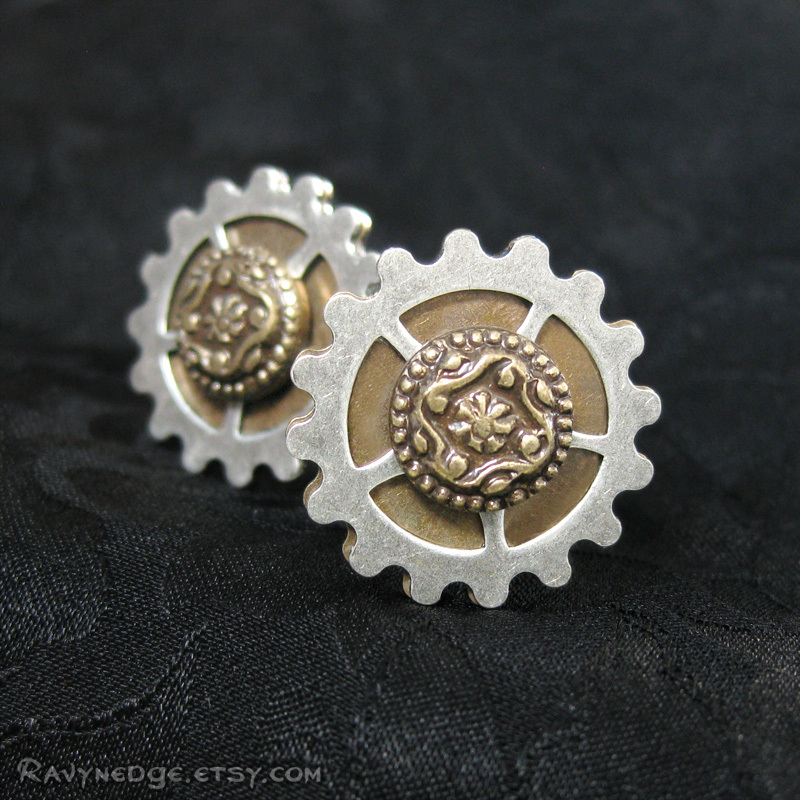 Let your inner steampunk shine with this whimsical pair of cuff links featuring spockets in brass and sterling silver plated brass decorated with an ornate brass cabochon in the center. 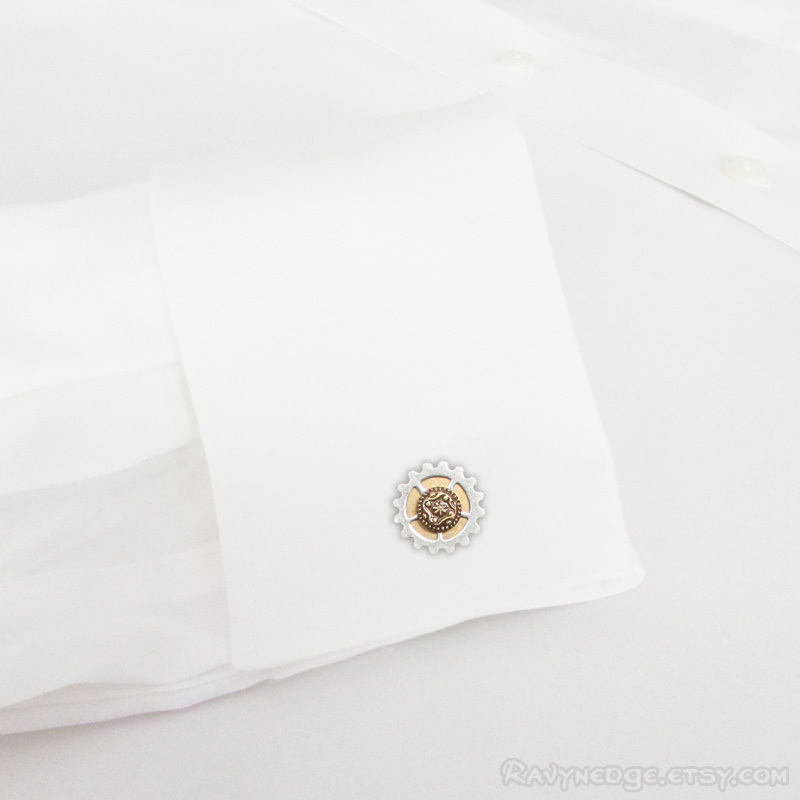 Each cuff link measures 16mm (0.63 inches) in diameter.